Michael Lasser returns with songstress Cindy Miller and pianist Alan Jones, to celebrate E.Y Harburg. E.Y. Harburg was known for the social commentary of his lyrics, as well as his liberal sensibilities. He wrote the lyrics to the standards "Brother, Can You Spare a Dime?" 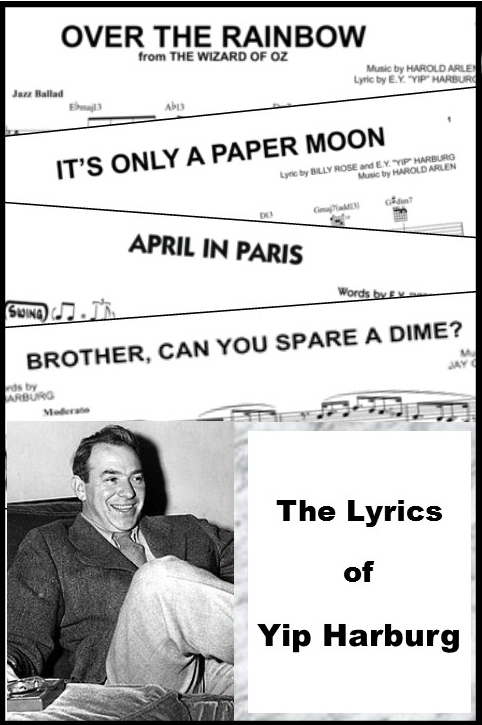 (with Jay Gorney), "April in Paris", and "It's Only a Paper Moon", as well as all of the songs in The Wizard of Oz, including "Over the Rainbow".Through music and song, Michael Lasser and his friends offer an entertaining introduction to the amazing range of E.Y Harburg.